As with the other Hospices around the country, St Annes Hospice, with sites at Little Hulton, Heald Green and the Neil Cliffe Centre in Wythenshawe Hospital, was recently awarded a grant from the Masonic Charitable Foundation. This was but one of the 237 grants totalling some £600,000 given to Hospices across England and Wales. 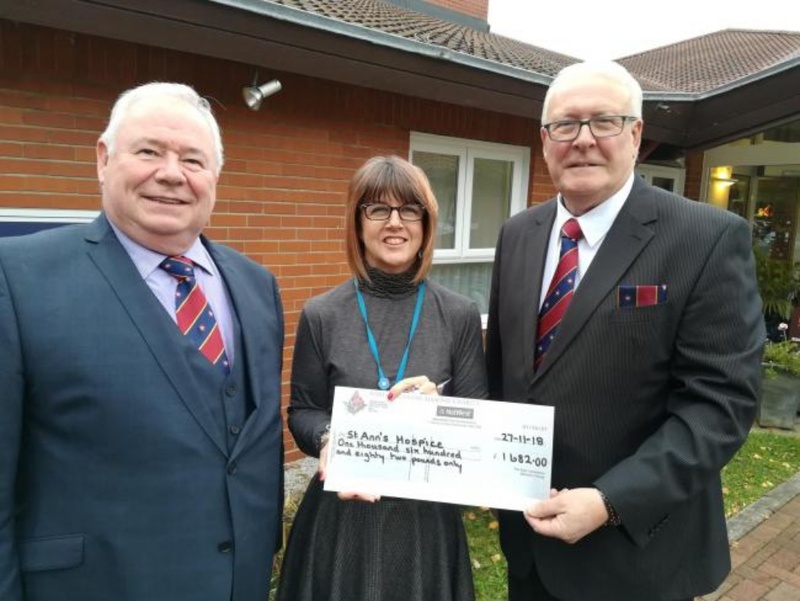 The picture above shows Peter Hegarty Freemasons Salford District Chairman, Clare Henderson, St Ann’s Hospice, and Ian MacNeil, Freemasons Salford District Charity Steward, when the cheque was donated.